Hoggs of Fife cotton Tattersall shirt. 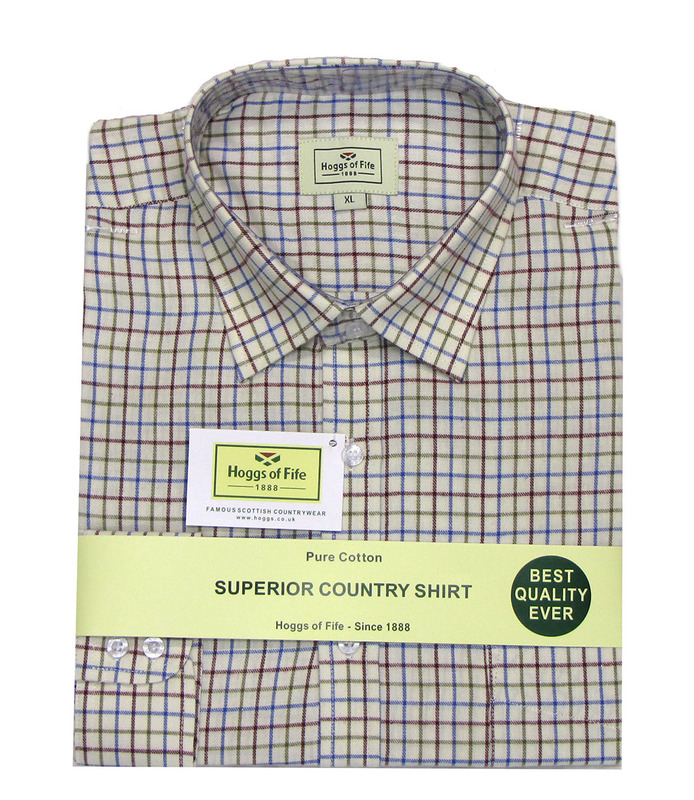 This Gents 100% Pure Brushed Cotton Tattersall Check shirt is a very good quality classic country wear shirt. Superior 100% ultra soft brushed cotton fabric. Smart classic collar shape with non-fused woven interlining & fixed collar stiffeners. 16-stitches/inch construction for sharp and strong seams throughout. Front Placket with 7 pearlised branded buttons (spare button supplied). Split yoke to shoulders and 2 rear pleats for a superior fit. Extra long drop tail to ensure shirt stays tucked in. Reinforced gusset at base of side seams, between front & back panels. Plain and elegant open breast pocket. Available in Tan/Navy/Olive, Wine/Navy/Olive and Navy/Olive classic Tattersall check.